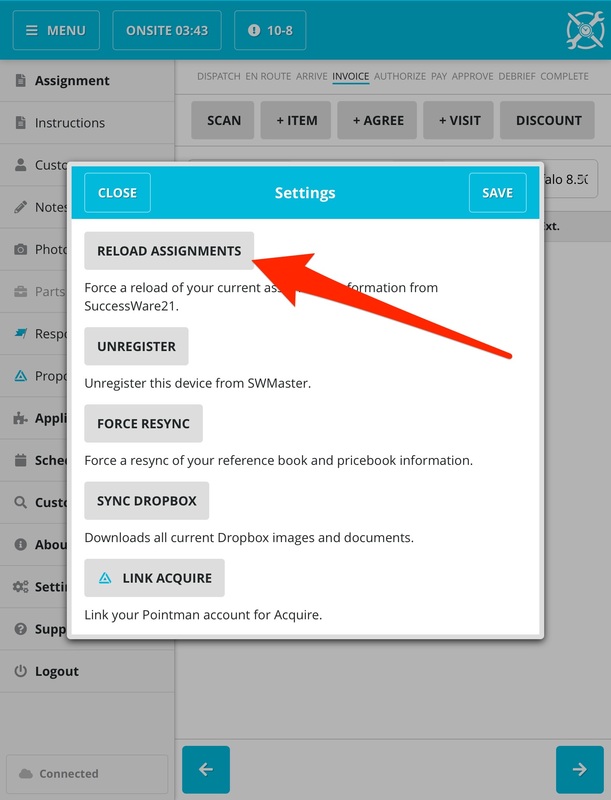 You can resolve this issue by tapping Reload Assignments under the 'Settings' section in SWRemote. This issue occurs when an existing job being taken off of the Technician in SuccessWare21, and those changes have not yet synchronized with the Technicians Device. Upon hitting the reload assignments button, this job will no longer appear on the device, and if there is another job it will then load.